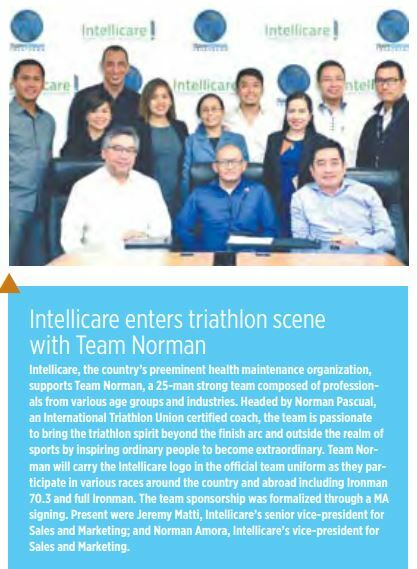 Intellicare continues to support Team Norman, a triathlon team headed by ITU (International Triathlon Union) certified coach Norman Pascual, as co-title sponsor for four years. From a group of 25, Team Norman-Intellicare has grown to more than 45 members composed of newbies and seasoned triathletes. Professionals from diverse industries– lawyers, entrepreneurs, marketing and advertising practitioners, IT specialists, and workforce managers – who most started from zero knowledge in the sport have progressed as strong race finishers. Through joining various triathlons, duathlons, aquathlons, running and cycling races, Team Norman-Intellicare serves as an inspiration in promoting a healthy lifestyle and work-balance integration. 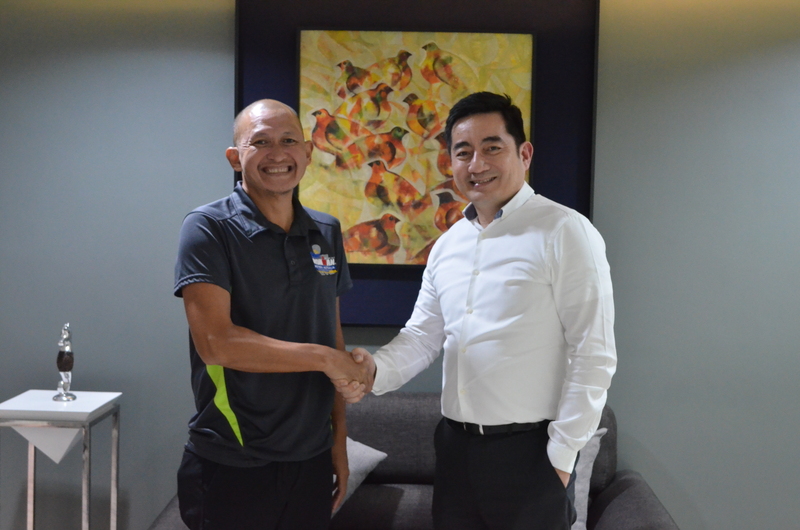 Coach Norman Pascual (left) with Intellicare VP for Sales and Marketing Norman P. Amora. Members have paraded the Intellicare logo in their official team uniform during major local and international races such as the National Age-Group Triathlon (NAGT); Tri United Series; Subic International Triathlon (SubIT); Century Tuna 5150; Ironman 70.3 Cebu; Ironman Langkawi, Malaysia and Western Australia; Ironman 70.3 Cairns, Australia and Peru; Berlin Marathon; and Tokyo Marathon. Regular and special training sessions are continuously held at the following venues: Makati Aqua Sports Arena (MASA), University of Makati Track and Oval Field, Mall of Asia Bayside, Camp Aguinaldo, Nuvali, and Subic. For more information on Team Norman-Intellicare or to join, check them out on Facebook @Team Norman and Instagram @coachnormantriathlon. There’s no harm in TRI-ing! Intellicare, the country’s preeminent health maintenance organization, supports Team Norman, a 25-man strong team composed of professionals from various age groups and industries.